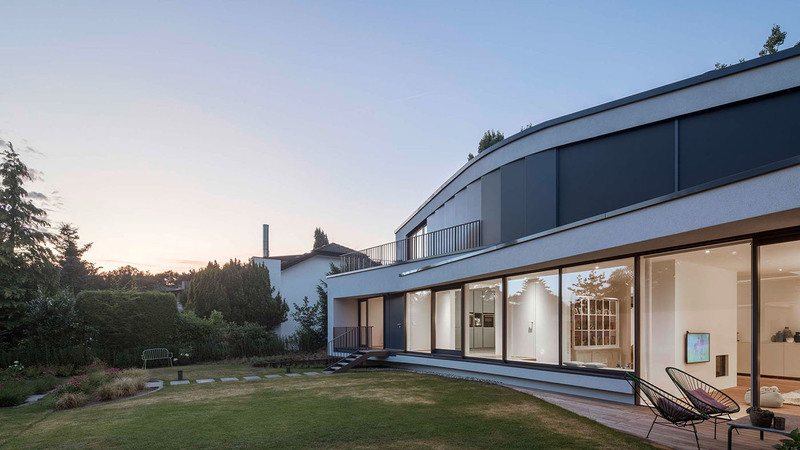 is an office for architectural design that is based in düsseldorf, germany. it is led by three partners: daniela hake, holger hoffmann and hans-peter nünning. the name one fine day suggests a positive basic attitude, idealism and ambition that is necessary to develop architecture beyond standard solutions. it is a claim to the speculative, the unforeseen and the exciting that we see at the core of architecture and design as a cultural discipline.we see ourselves as belonging to a younger generation of architects who are not so much swayed by traditional stylistic argument and the fixation on specific formal vocabularies. we understand the tension between pragmatic needs and potential spatial, formal and material innovation as the opportunity to create an architecture that is specific in its application, appropriate in its effort and fascinating in its appearance. our aim is to deliver architectural projects that formulate a clear contemporary position combined with precise and long-lasting technical solutions embracing cutting edge methods of industrial production and innovative craft.one fine day handles state-of-the-art computer based design and building technologies. we have in-depth understanding of the latest complex design and modelling tools - but we do not feel obliged to apply these methods if unnecessary. we are able to perform in ways as pragmatic as required, yet as elaborate and sophisticated as possible.while we understand ourselves as an office with a focus on architectural design one fine day possesses extensive experience in all phases of the production of architecture and urban planning. we are used to working in an international environment with sophisticated clients, tight schedules and complex tasks. for years we have been collaborating with highly specialized and professional offices and individuals worldwide - a reliable and flexible network tailored for out-of-the-box designs.therefore we understand ourselves as enthusiastic partners in a process of common effort with the aim to realize architecture that transcends the ordinary.